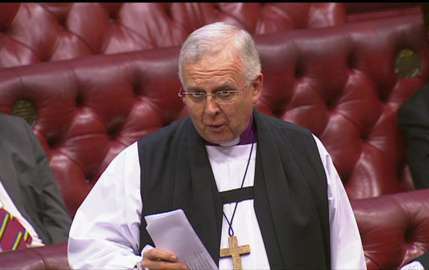 Bishop Donald is in attendance in the House of Lords this week (Monday 25th to Friday 29th June) representing the Diocese of Peterborough in Parliament. As the designated Duty Bishop, he is also opening proceedings each day by leading the House in prayer. On Monday, he took part in a debate on the effectiveness of the Apprenticeship Levy introduced by the government in April, which aims to raise £3 billion a year in order to fund the introduction of 3 million apprentices nationwide by 2020.